« Hedge Funds to Non-Cancer Patients: "You also die." Words cannot express my disgust with this knowledge. How can this be true? How long have you known about this? How can the SEC know about this and not prosecute the naked short sellers? How about congressmen? Have you made them aware? What have they said? My God, this is treason! This is sickening! Tomorrow, no later, not one day later, while they are still at their mansions in the Hamptons, the C.I.A., F.B.I. or U.S. Military Intelligence services should be ordered to investigate FINANCIAL TERRORISM perpetrated against Force Protection, Inc. via Naked Short Selling. All Hedge Funds involved in this CRIME should be investigated to find out all other companies victimized by the Hedge Fund Financial Terrorists. My first reaction after seeing these pictures was this… Is the Hedge Fund(s) financially-backed with Al-Queda funds in order to purposely weaken the defense of U.S. military forces? Of course, the weapon-of-choice for Al-Queda in Iraq & Afghanistan is the Improvised Explosive Device (I.E.D.). And, if a company such as Force Protection, Inc. invented a vehicle such as the V-Shaped Hull “MRAP” that rendered the I.E.D.’s harmless, then Al-Queda would certainly have a vested-interest in the demise of Force Protection, Inc. I do not think for one-second that I am “reaching” in connecting the dots in this instance. Again, I believe an immediate investigation by C.I.A., F.B.I. and Military Intelligence services into the Naked Short Selling of Force Protection, Inc. is warranted. My second reaction after seeing these pictures was this… I wondered… Did the Al-Queda Terrorists cheer when the I.E.D.’s blew-up and maimed or killed American Soldiers? I imagine they did — same as Al-Queda cheered when the Twin Towers fell-down in New York City and people jumped from the top floors. And, I wondered further… Did the Hedge Fund Financial Terrorists cheer when Force Protection, Inc.’s common stock was knocked-down too? Our young American Soldiers deserve to be protected with the best defense to protect against I.E.D.’s. The financial assault via Naked Short Selling against Force Protection, Inc. happened on U.S. Soil. There is an undeclared war being perpetrated by the Hedge Fund Terrorists against Inventors, Defense Contractors, Biotechs, Energy/Commodity Companies, etc. etc. (ALL OF US). FIGHT BACK — If you own equities, then you have been attacked. I have been attacked. A company that I invested in was put on the Reg. SHO Threshold List several months ago. At that time, I did not even know what that list represented. Now I know. And, now — I fight back! I want justice — and I want these Financial Terrorist Hedge Funds to be PUNISHED. No more slaps on the wrist with little penalty/fines. For there to be JUSTICE, the punishment must fit the crime. I want to know where these Hedge Fund Financial Terrorists are located — so ALL OF US can send them Holiday Greetings — especially military families of those maimed or killed by I.E.D.’s in Iraq or Afghanistan. 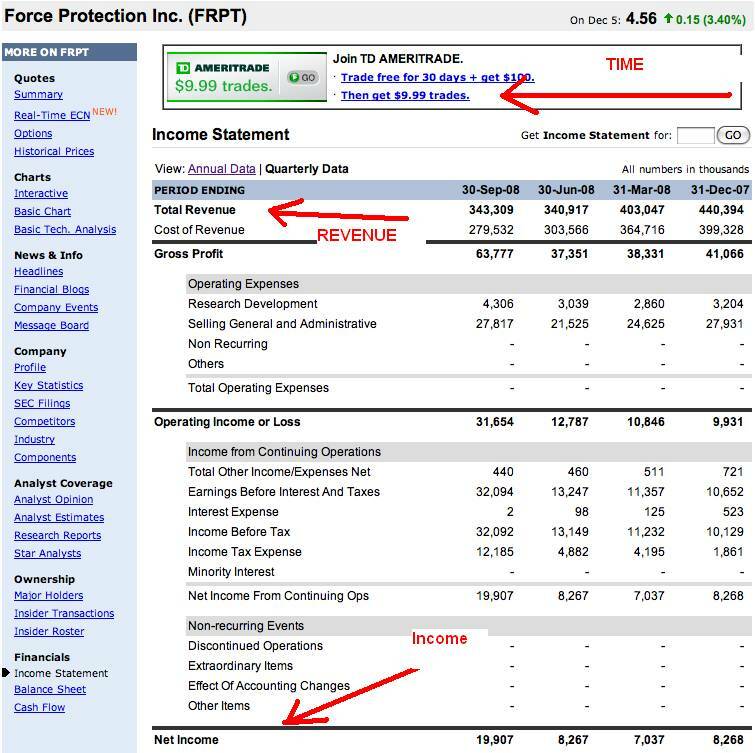 On a positive note, I hope & pray that Force Protection, Inc. can overcome the financial terrorism committed against them via Naked Short Selling. What a wonderful invention, the V-Shaped Hull “MRAP” which has a solid track record of protecting American Soldiers against I.E.D.’s. — and saving lives! I dedicate this message to the Inventor, Employees, and all the Investors owning Common Stock of Force Protection, Inc. I want JUSTICE — for the American Soldiers that COULD HAVE BEEN PROTECTED with the “MRAP” vehicle. The Hedge Fund Managers perpetrating this FINANCIAL TERRORISM of Naked Short Selling deserve to die the same way Saddam Hussein died — with a rope around their necks. If this information gets to the appropriate parties and nothing is done, like has been in the past, then I will safely assume that we are not dealing with human beings but animals. They can go after Martha Stewart, Mark Cuban, Michael Vick, Plexico Buress, just to name a few, over utter nonsense and let these criminals, murderers go away with the explaination “shortselling is good for liquidity” then may God have merccy on their souls!!!! These guys destroy value, while the victims create value. Just look at how hard it is for the Carmakers to get the 34 bill and how easy it was the the people that created this mess to get 2.5 trill!!! THE GAME IS INTENTIONALLY RIGGED!!! This Crap needs to STOP NOW!!! Enough is enough!!! How long have I known about it? This case, about 9 months. The problem in general? Several years. Who should get the blame for not doing anything? One of many examples my good man. All along the same general pattern . . . so tell me, what constitutes probable cause . . . The answer is getting closer the more work we do . . . across sectors. Thanks for yours. My best to you for a good holiday season and good health. This has the potential to embarrass someone in the U.S. Government. I pray they will to do something. Patrick, I think this may be one powerful weapon against the counterfeiting hedge funds – putting a face on the crimes they are committing against the American people – painting a picture with graphs and picture so any average person will instantly see the harm they are doing! I see the note below about comment moderation being on, so hopefully this will reach you instead of being posted or deleted. I know you post here on a regular basis, so I thought this might be the best way to get in touch with you. I know you are an extremely busy man and I apologize for this being a little lengthy. First, let me say that you should be very proud of the work you have done and continue to do in the face of so much adversity. Ordinary people will never know what you, Bob O’Brien, David Patch and many others have done and been through for the betterment of all Americans. I, like countless other Americans have been financially rattled by NSS, FTD and the hedge fund manipulators. I have been in the stock market since high school, first investing in DRIP plans and then making the leap into a brokerage account. I managed my own money and did my own due diligence, doing ok until April of 2004. I was heavily invested in Taser International and had a smaller investment in Novastar Financial. I sold out of Novastar in the summer of ’04 and as Taser started to rebound and orders poured in throughout the year, I was buying more. I started researching the details surrounding NFI and came across the NCANS site. I was in disbelief in January of 2005 when it happened again to Taser, this time it was much worse and through margin calls I was pretty much wiped out. After the shock wore off, I began to do a lot more research into NSS & FTD and found out I was not alone. All of this is mind boggling to the average person and until someone losses a great deal of money or their company is destroyed, they don’t want to take the time to understand it. About two months ago, I began working on a site in my spare time to be able to put together a time line of some major financial/political events, with general descriptions and links to more information for people to do their own research. I gave it a title that, by itself can be an inviting advertisement to draw people in. I have not talked to anyone about it or submitted it to the search engines yet and it is still under a temp page. If you don’t mind, I wanted to get your opinion on the site, suggestions, ect and whether or not you think I am wasting my time. This is the way to push forward. Unfortunately, given the lack of financial literacy of the GP and the short attention span, it is examples like this that are going to garner the necessary attention. Cheers to your tireless efforts. They American way sometimes it backfires on us. Put there families and names on the front page. I AM APPALLED ……. THIS IS ABSOLUTELY DISGUSTING IF TRUE…. I INTEND TO FORWARD THIS TO EVERONE I KNOW NOTIFYING THEM OF THE GRAPHIC DISPLAY …. I AM ALSO SENDING THIS TO MEMBERS OF CONGRESS AS WELL AS BILL O’REILLY …. MAYBE HE WILL HAVE ONE OF HIS PRODUCERS LOOK INTO THIS …..
Will our elected officials in Congress, and the SEC continue to allow these crimes against the American people after seeing this story? I pray not. I was all set to put money into frpt when I began to notice the telltale action from the naked short boys. As a long time sufferer in DNDN I really could not take anothert battle with our Greenwich based friends, so I did not buy. They won as always. Chris Cox should have been grilled by Waxman, obviously he has been captured too. I know that Congress passed some laws after 911 to require more financial reporting in an attempt to cutoff funding for terrorist organizations, but since Congress created Hedge Fund as Unregulated Financial Entities I am thinking they left a HUGE loophole for Terrorist organization around the world to DRIVE THEIR BOMBS THROUGH. Hence the DOJ’s severity and publics ongiong interest in the Elgindy case and those closely linked to his his nest of thieves. Many are only recently getting their collars felt.